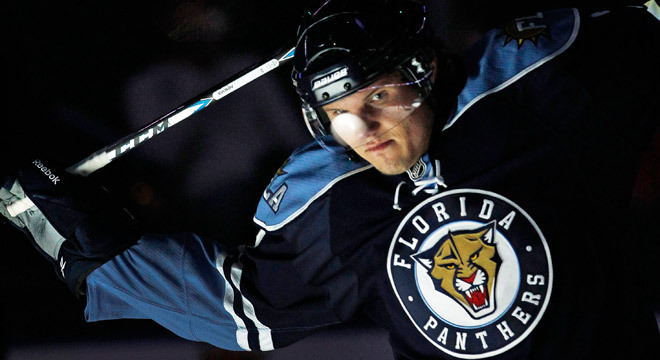 Kulikov began playing hockey in Lipetsk and when his father realized that the boy had outgrown the regional level, he began to take him to various try-outs. “There were few games, not enough practice. There was a group of us. We went to Perm and played against Voronezh. But two or three games a month was not enough. My parents realized that and they wanted me to join a strong group, a club that would offer more playing practice, more competitions,” Kulikov said of his early days playing the sport. Noting Dmitry’s strong performance for Rus, Lokomotiv decided to return him to the main team. Yet, despite all his efforts, he was sent back to the farm club. With no chance of making it onto Lokomotiv’s main team, 18-year-old Kulikov went to Quebec to play for the Major Junior Hockey League and created a sensation. During 57 matches for the Drummondville Voltigeurs, he racked up 62 points, making him the league’s best-scoring defenseman. Quebec rewarded him a number of awards, including the Emile Bouchard Trophy as the QMJHL Defenseman of the Year; the Raymond Lagacé Trophy as the Defensive Rookie of the Year; and the Mike Bossy Trophy as the league’s best pro prospect. Florida was so impressed by Kulikov’s miraculous season that it selected him in the middle of the first round, undeterred by the “Russian factor”. The Panthers club was in the midst of an overhaul, and the talented young defenseman was able to make it onto the main team his very first season. To become a defenseman on a main NHL team at 19 is incredibly difficult, but Kulikov made a big impression on the Panthers managers with his maturity and high level of technique. One of his principal good qualities is his ability to join an attack at just the right moment and bring the forward out to a goal position with an exactly calculated pass. Now in his third season with the NHL, Kulikov is considered Florida’s second-best defenseman after veteran Brian Campbell. Dmitry’s father, Vladimir Kulikov, was also once a hockey player and put his son on skates at the age of three. Dmitry became the first hockey player raised in Lipetsk to play in a world championship.